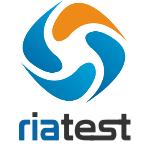 ClicAutomate is built on a script-less test automation approach expedites automation testing. It also supports agile testing with the ability to handle ever-evolving changes in requirements, test cases and application UI. Very low learning time and high pace test creation makes ClicAutomate the most preferable test automation tool; reusability, traceability and the need of no technical knowledge makes it an exceptional. SaaS, AI-Driven test automation software for Web and Mobile applications to achieve continuous testing with Shift-left approach. Testsigma is a SaaS, AI-Driven test automation software for Web and Mobile applications to achieve continuous testing with Shift-left approach. Testsigma helps the web and mobile dependent businesses to reduce the cost of software quality and to continuously release their great quality software products faster. Testsigma uses AI to build stable and reliable tests faster and speed-up the execution and maintenance of automated tests. Testsigma is built to address some of the problems with existing automation testing tools, like Huge Initial Time and Cost, Slow Test Development, High Execution Time and Costs, High Maintenance Efforts, Less Automation Coverage and Longer Payback Time. 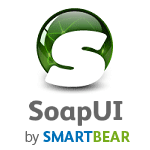 SoapUI is a free and open source cross-platform Functional Testing solution. With a graphical interface, and enterprise-class features, soapUI allows to create and execute automated functional, regression, compliance, and load tests. In a single test environment, soapUI provides complete test coverage and supports all the standard protocols and technologies. There are simply no limits to what you can do with your tests. Whether your requirement is transferring thousands of files securely, compiling month-end reports, or extracting data from a homegrown application, Automate robots will streamline your workload so you can focus on the strategic activities where you add the most value. In just a few minutes of dragging and dropping, you can configure a robot to follow all the steps in the process that you would follow. You don't even have to schedule the robot for the same time every day--your robotic process can be triggered by an event such as a file arrival. RCP Testing Tool is a project for GUI testing automation of Eclipse-based applications. RCPTT is fully aware of Eclipse Platform's internals, hiding this complexity from end users and allowing QA engineers to create highly reliable UI tests at a great pace. Automate any series of tasks on your computer! Automate any series of tasks you can do on your computer system! Just a few minutes with RoboTask will give you plenty of ideas of how you can increase your productivity. RoboTask can accommodate just about any type of simple or complex automation, without the need to create batch files or write complicated scripts, as it uses a visual interface that lets you simply select and combine action to fit your needs. Continuous testing for agile delivery teams. AppVerify is a unique solution for automated regression testing. With AppVerify, you can test the functionality of any application or website in any environment. This powerful tool makes it easy to create a list of Test cases, allowing you to re-execute your Test Plans as often as you like, to verify that modifications in the application or the environment have not caused any unintended adverse side effects and that the system still meets its requirements. Application performance and response time monitoring for Citrix, PeopleSoft, Windows, client-server, Oracle, Siebel, SAP, web, custom apps and more. VisualCron provides advanced file/script execution, file transfer (FTP/FTPS/SFTP/SSH/HTTP), email, archiving (7z/zip/tar/gzip), XML handling, Active directory tasks, encryption (PGP), desktop macro recording, send/receive emails, system control (Hibernate,Standby,Restart,Logoff), SQL execution and monitoring. 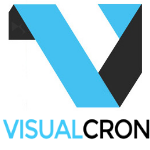 Above all, the interface of VisualCron is very easy to use. No programming skills are needed. The Tasks in each Job automate scripts and eliminate human errors. 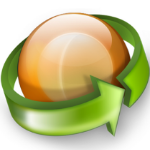 Through various Tasks you can integration different systems through file transfer and conversion. WinAutomation is the most powerful and intuitive platform for Windows automation that enables users to automate any desktop and web based task with zero effort. WinAutomation intelligent Software Robots can be taught to perform effortlessly any task, empowering organizations to achieve greater efficiencies through automation. WinAutomation is an automation tool that helps to automate any repetitive task on your computer. WinAutomation's Macro Recorder sets the computer on autopilot. It auto-fills thousands of web forms and extracts all the data needed from any website. File operations, database manipulation, spreadsheet handling, email parsing and desktop management can be automated and executed, on key-press. A suite of programs that can record, replay and distribute user actions under the X11 environment. Automation Anywhere is software designed to automate virtually any computer-based process with ease. No-programming-required interface makes it possible for anyone in an organization to quickly and reliably automate tasks of any complexity, including application integration, IT processes, data extraction and migration. It is available in Standard, Premier, Small Business, and Enterprise editions. The tool capabilities includes: Task to EXE, Job scheduler, Drag-and-drop task editor, Workflow and process mapping tools, Built-in Windows, web, and task recorders, Single-click web data extraction capabilities, and more. Rapise is the next generation software test automation platform that leverages the power of open, extensible architecture to provide the most rapid and flexible functional testing tool on the market today. Rapise's unique Learn and Go testing method is much more time efficient than traditional record-and-playback processes. Objects can be edited during the learning process instead of waiting for all objects to be recorded then edited. Rapise provides powerful built-in support for the following environments: Java, Google Web Toolkit, Yahoo User Interface, Web applications including AJAX, Windows Forms including Infragistics, DevExpress, Telerik, Adobe Flash/Flex including AIR, Microsoft .NET, Win32 applications and WPF. HTML - versions supported: HTML4 and HTML5. RedwoodHQ is a free Open Source test automation framework that allows multiple users to develop automation code, create readable action/keyword driven test cases and execute them all under a single Web interface. RedwoodHQ supports any Java/Groovy code or test tools like Selenium, Appium, etc., can be used for back-end as well as front-end automation. eZscript introduces a solution to automate unit, system integration, functional, smoke, sanity and regression testing of Web based applications. eZscript deals with business process testing (BPT) concept to enhance test creation and maintenance. BPT uses Keyword-driven testing technique in which keyword test scripts are logically organized for end to end business test scenarios. Combination between keyword, data driven and capture methodologies; it is capable to read the keyword actions at the object level and grouping actions.